In early 2019, Amazon will be adjusting its Storage, Fulfillment and Referral fees for sellers. Citing the rising costs to fulfill, transport, and deliver orders, but with their own investments in to supply chain innovations they are able to mitigate large shifts in cost. • Introducing separate monthly fee for dangerous goods, items that are flammable or pressurized aerosol substances. • Change will first be reflected in April 2019 charges for storage that occurs in March 2019. • Monthly inventory storage fees for other products will not change. • Apply a minimum width and height of 2 inches when calculating dimensional weight for oversize items, to align with packaging costs. • You will be able to fund a flat discount of 5% or 10% for each new item you add to the program. Please review this carefully, there are various changes and many positive changes for those sellers who sell low priced items. In many cases Amazon Sellers are required to obtain approval from Amazon before listing in certain product categories. As Amazon continues to grow, so does its seller base. Getting approved in some categories is quite easy while getting approved for other categories will be very difficult. There are some categories that are very strict in their approval application process. Some Amazon categories are easy to navigate through and some are not flexible at all. The table below from Amazon lists the categories that currently require approval. If you would like to sell in one of these categories, click the link next to the category name and follow the instructions to submit your application. (see page here). There are some products that need to be approved to sell even if the Amazon selling categories are open. Amazon reserves the right to require approval for any product that lists on Amazon. Software category, contact Amazon Services. Lasers and pointers, see Laser Pointers and Related Products. To sell Amazon Frustration-Free Packaging products in any category, see Frustration-Free Packaging. To sell Hoverboard products in any category, see Hoverboards. What Does It Mean to Un-gate an Amazon Category? When products are gated it typically means that they are susceptible to counterfeiting. Amazon wants nothing more than to provide its customer the best-selling experience possible. Sellers must prove to Amazon that they are purchasing non-counterfeit goods. Companies who specialize in un-gating and unlocking Amazon categories like Palmetto Digital Marketing Group have has success un-gating dozens of categories for its clients. Amazon wants to protect its customers and reputation. So un-gating is unfortunately a necessary requirement. So you have applied to sell on Amazon Seller Central, you also applied to a locked category and were approved. You are making progress, you now apply to another gated category and get turned down, now what? This is very typical - the requirements for getting approved in various categories can differ. Amazon reserves the right to change application requirements at their discretion. We highly recommend doing some preliminary research prior to submitting your approval. In doing this you will have ample time to gather the necessary documents for approval, which are typically Materials Safety Data Sheets, FDA compliance forms, Purchase Order paperwork or trademark ownership. Amazon sponsored ads are an effective way to show your products in-front of the right customers and ensure that your products are visible on the first page of the amazon search results. It typically takes many months to have your products show in the Amazon results organically. 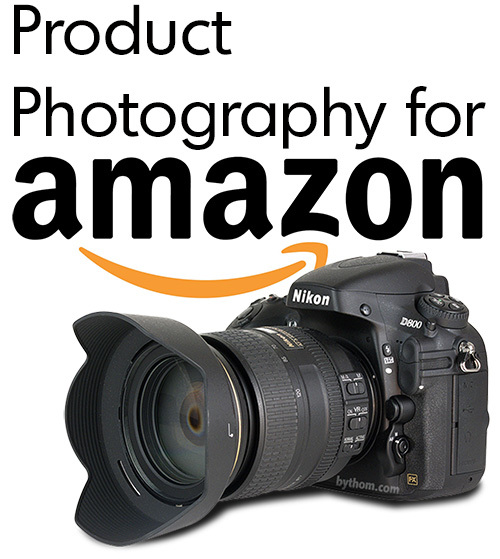 With Amazon PPC you can show your products immediately. Amazon sellers can bid on search terms, set up campaigns, track results and much more with Amazon PPC ads. Whether you have current Amazon PPC Accounts, or are looking to create new Amazon PPC Campaigns, the experts at PDMG will perform an Amazon PPC audit of current account. If you are starting from scratch, we will create a proposal for you to review. Where do you find the right PPC keywords, and how do you organize and manage them once you find them? This is our specialty. We use tools that help us find keywords that will help grow your business. Once we find a list of keywords that produce results, we expand our research to find even more keywords and longer tail keywords. A set of Amazon ad groups that share a common daily budget, product targeting, and other general settings that revolve around the campaign. Amazon campaigns are often used to organize categories of products or services that you offer. An Amazon ad group contains one or more ads which target a shared set of keywords. Ad groups live under the Amazon campaign. The Amazon PPC bidding system lets you modify your bids only on queries that are most likely to lead to conversions. The Amazon PPC platform analyzes thousands of keyword/ad auctions and ensures that your Ads meet a certain criteria. Typically the platform will show your ads based off of your Max CPC bid and ad relevance. Using negative keywords within your Amazon PPC account is essential to success. Negative keywords let you exclude search terms from your campaigns. This feature allows you to focus on only the keywords that matter to converting prospects into customers. Negative keywords also help you achieve a better overall ROI. The Amazon PPC consultants at PDMG use search term reports to find hundreds of keywords that are relevant, based off of Amazon customer searches in the Amazon search bar. We use this within the PPC campaigns and for general Amazon optimization. We've gone ahead and provided information about match types from Google. Ads may show on searches that match a phrase, or are close variations of that phrase, with additional words before or after. Ads won't show, however, if a word is added to the middle of the phrase, or if words in the phrase are reordered in any way. Baseline of data before this time frame? Baseline of data for this time of year? Are the PPC numbers up, down, or neutral? Can we determine why performance is up, down or neutral?